Great News! Blondie has now been adopted. Some lucky person now has a beautiful girl! Today, I have a young lady from one of our rural animal controls in Missouri. I love Blondie's coloring. She was found as a stray and is probably about a year old. I think she has the sweetest face and immediately knew she was going to be my star for the day. As all dogs, she deserves a loving home. 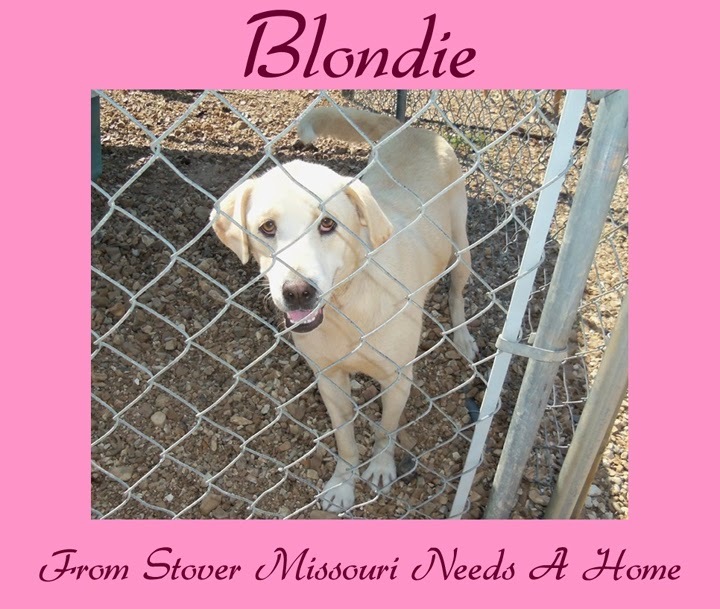 If you want to adopt Blondie or know someone who wants a sweet girl that gets along with all other animal, please check out her Petfinder page HERE. I hope she finds her forever home soon. Will share. She is so sweet! I hope she finds a forever home soon!